HPMS now has a Facebook group, where members can share photos and articles! 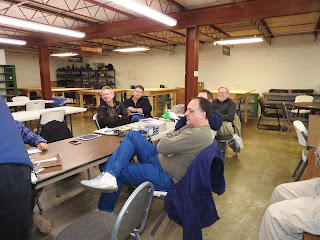 The February meeting of the HPMS was commenced at 7:00 PM on 6 February with 11 members in attendance. There had been no January meeting as this was the annual swap meeting among the chapter members. No old business was presented at the meeting. 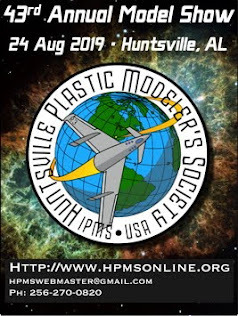 The main action of the meeting was the presentation of an inquiry by Arley McCormick who is involved in the Alabama 200 year anniversary celebrations to take place in Huntsville. He asked if the chapter would take on then task of building a plastic ship model of the C.S.S. Alabama. 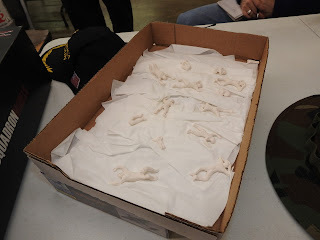 Once the model was completed there would be dedication ceremony at the Depot in Huntsville and the model would be placed in veterans memorial museum. There was no final decision made at this meeting as to whether the chapter would accept the tasking. There were questions and concerns were raised and it was felt that further discussion needed to take place. 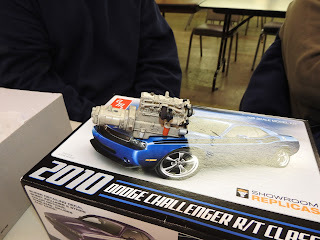 A report regarding the the model show and contest at Chattanooga was given. Basically it was felt that the show smaller then in years past although it was noted that weather may have been a factor in this situation. 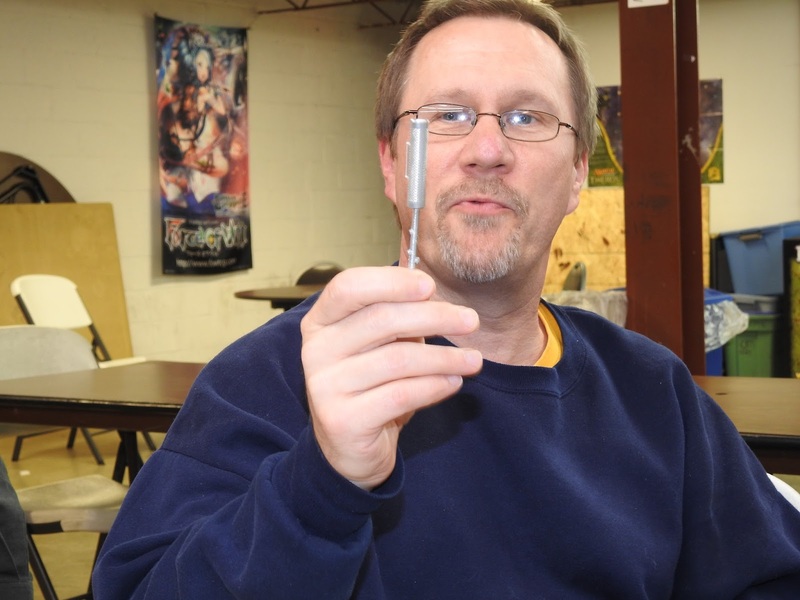 Will Thorson from our chapter was there with an entry but did not take an award. Ed Kiker - 1/72nd scale aircraft kit of an experimental World War II German jet. Dioramas of archaeologists working at Pompeii, Italy uncovering body casts of volcano victims. Diorama of Naica crystal caves in Mexico with huge crystals. Plastic toy cabin cruiser with 1/35th scale armament, the U. S. S. Donald Trump. Andy Brezinski - Engine from the Integraph truck that he is building, good detail and good weathering. Chrome exhaust stack for same truck model, had problem with the chrome process, but came out well. Tom Clark - Had show flyers for the Anniston show and contest, 1 April, and Louisville, KY, 20 May. 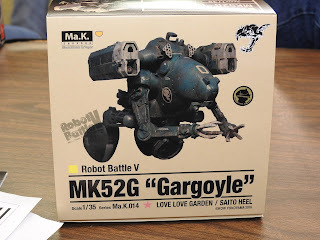 He also had a MK 25G "Gargoyle" resin kit. 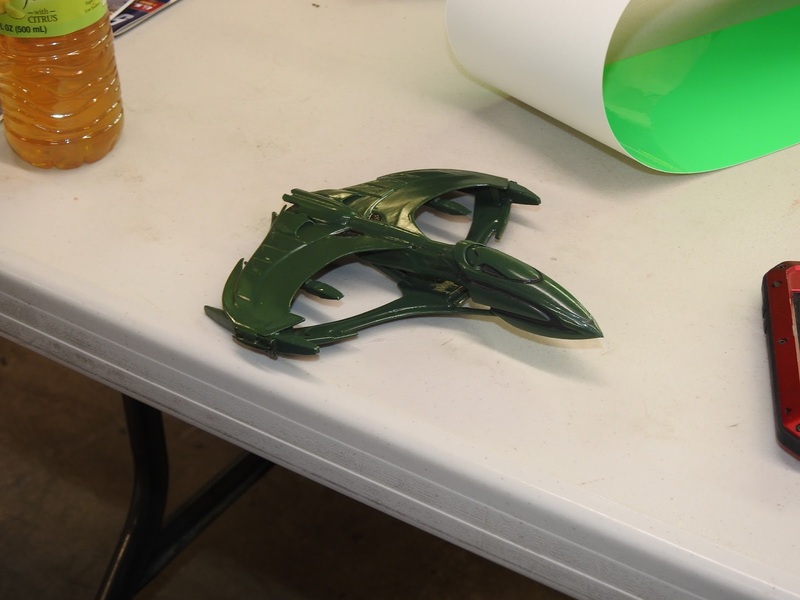 Martin Burky - Shape Ways 3D printed Star Trek Romulan ship from a computer game Great design. Dan Thompson - 1/700th scale Royal Australian Navy Armidale patrol boat, unbuilt kit. 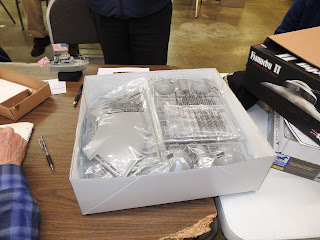 Michael E. Mueller - Brought in some car kits for Ed, 1964 AMT Mercury, Monogram 1974 - 78 Chevrolet 4 WD Pick-Up truck, and Monogram 1970 Racing Corvette.